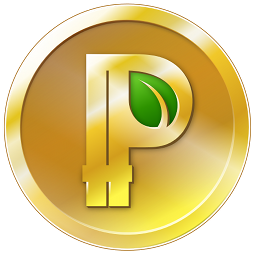 This is a free cryptocurrency website ("faucet") that promotes the Peercoin cryptocurrency. It should provides you a safe and easy way to get to know cryptocurrencies in general, and more specificly, Peercoin (PPC). You can get some FREE bits of Peercoin (Peertoshis) here every 60 minutes, and you currently have 5 daily claim(s) left. You need a FaucetHUB.io account to claim. Please do not use scripts/bots. Peercoin was launched in 2012, making it one of the first blockchains to be released. It introduced a number of new innovations which substantially improved on the design of other blockchain protocols that existed at the time, principally Bitcoin’s proof-of-work. Peercoin’s alternative to proof-of-work, proof-of-stake, remains unrivaled to this day as a blockchain consensus protocol and one which is achieving more mainstream adoption with each passing year. Learn everything there is to know about Peercoin at Peercoin University or jumpstart with Peercoin.net or it's statistics-page at CoinmarketCap. BONUS: Complete this shortlink for a 25% bonus. The claim button will appear after completing the Anti-bot links. @54.90.86.231 on 24th April 2019 at 02:25.48. © 2019 fruityfaucet.com - some rights reserved.